If it sounds too good to be true, it probably is - especially if it comes from a former NBA player who routinely skips out on his bar tabs. Dennis Rodman and his buddy publicized that they were auctioning a $3-million waterfront home in Fort Lauderdale to one lucky winner who held a $30 raffle ticket. Turns out that's not quite what will happen. According to the homeowner, Laura Brannan, her family won't be moving after all and the group has changed the terms of the game just before tip off so to speak. Now the winner of the raffle will get half of the pot with the other half going to The Mission of St. Francis, a local charity. Still not a bad consolation for $30 bucks but when the promise was living it up in a 6-bedroom, 6-bathroom baller pad on the water, it kind of feels like a Rodman kick in the groin. 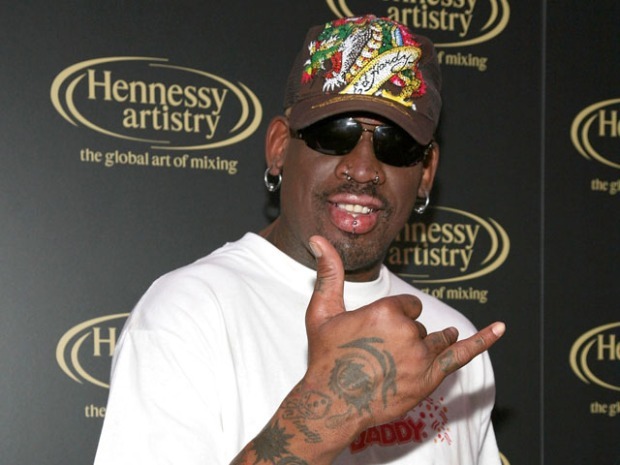 On Rodman's website for the auction, a notice popped up over the weekend stating the drawing will be held on or before Dec. 31 instead of the original date in March. No further explanation was given. Our guess is interest in the house was low, not because of the luxurious home, but because whoever was "lucky" enough to win the raffle would be the unlucky owner of a home that has a property tax bill over $28,000. The website said the goal was to sell 300,000 raffle tickets, but last report had the auction at under 100,000 entries. The Brannons have said they simply want to pay the mortgage on the house, which should have put the minimum number of tickets sold at 100,000. The ticket goal had to be met by Dec. 25. Rodman has not commented on the change, but the rules of the auction do stipulate that the house raffle could turn into a lottery. Rodman's people said they wanted to extend the drawing another three months but they got negative response from some people who said that would be bending the rules. The prize change is about as surprising to us as seeing Rodman in a prom dress, red lipstick and high heels, which is to say it should have been expected.